The widely popular Mitsubishi i-MiEV comes in 2 trim levels which according to MMC or Mitsubishi Motors Corporation is the entry level and the top range one. The electric vehicle will be powered up by the Y4F1 motor drive engine with the entry level, namely the M offering some 40 horses. On the other hand, the top range model which is called the G gets you about 5 horses more. In terms of battery power, the M comes with 10.5 kWh and for the G, 16kWh. The additional power on the G means that you will get 180km on a single charge while the M gets 60km less. 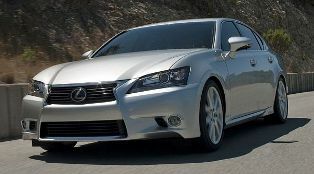 As in most cases, the higher range model gets you more goodies where here you will get LED headlamps and 15 inch alloys. They also equipped the G with leather wrapped steering wheel and shift knob and a 7 inch navigational system. To charge the batteries, the M will require 4 and a half hours on a 200V AC plug while the G model requires 7 hours. However if you need to get a quick charge that gets the battery up to 80% capacity, it will take only 15 minutes for the M and 30 minutes for the G. Mitsubishi is launching the new M model in Japan end of this month while the G will be introduced next month.